Nanoscience and nanotechnology are at the heart of many objects in everyday life. Nanoscience is the science of infinitely small objects, a billionth of a meter in size. But what else do you know about nanotechnology? The goal of this MOOC is to provide you with useful knowledge about the nanoscale in different disciplines ranging from Chemistry and Physics to Biotechnology and Medicine. We will answer your questions about the societal, health and environmental issues associated with nanotechnology. 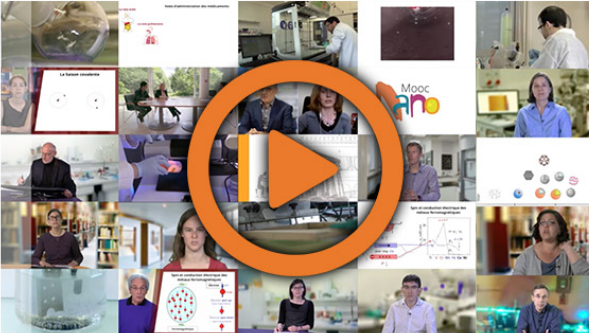 Over 50 professors and researchers from the Université Paris-Saclay, all specialists in their field, are keen to share their knowledge with you through numerous videos and experiments filmed in the laboratory. Testimonials from key players in the field of nanotechnology and supplementary documents complete the course. Don’t miss the participation of the winner of the Nobel Prize in Physics 2007: Albert Fert. 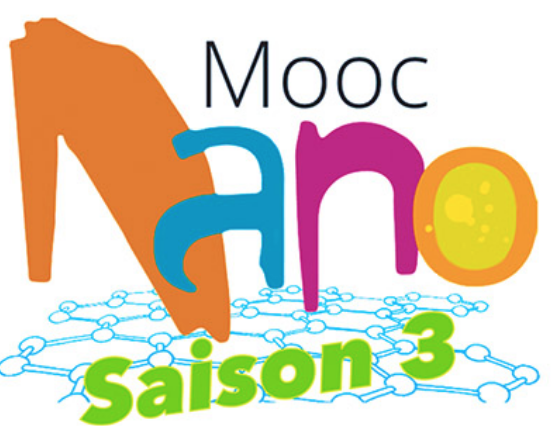 The MOOC « Understanding Nanoscience » is 7 weeks long. The courses are composed of videos of 5 to 10 minutes each and their accompanying documents. Videos are followed by quizzes which will let you test yourself and will emphasize for you the key concepts. You can build your personal course of study based on your background, expectations, and goals. Three courses of study of increasing difficulty are proposed: beginner, average, and expert. The contents are colour-coded, and you are free to navigate between the 3 different streams as you wish. All along this MOOC, you will also have access to videos and interviews about university studies, research and industry in the field of nanosciences and nanotechnology. New this year : all content is available in French and English. Videos (in French) are subtitled in English. A glossary is also available which defines the scientific terms used. You can ask all your questions via a forum which will allow you to interact with the experts and other participants. Many activities and additional documents about the field are also proposed. This MOOC is appropriate for those who have carried out two or more years of scientific studies at university, as well as for professionals or the self-educated who want to discover, learn more or acquire specific knowledge in some area of nanoscience.